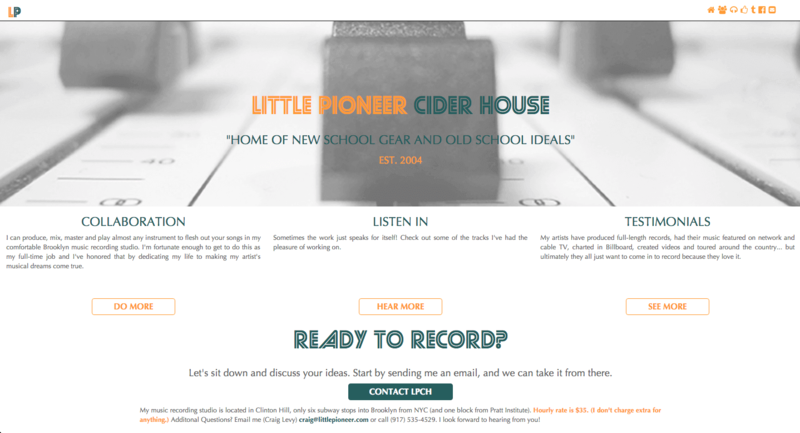 Little Pioneer Cider House is my most recent design project. On this project I had the opportunity to work with my good friend Craig Levy to update the ten year old site he had for his thriving music production business. This project again proved to provide the right tool for the job. Craig wanted a responsive site that incorporated his soundcloud profiles, while keeping costs low and giving him the freedom to update his site copy as he needed. 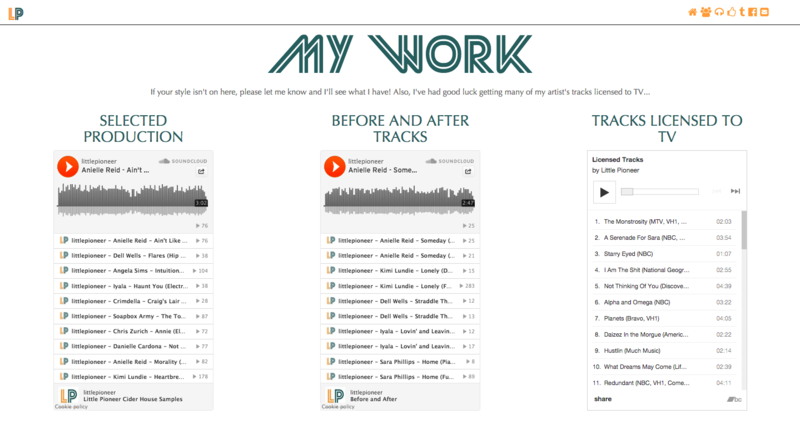 Thus, I created a high fidelity rapid prototype using GitHub Pages connected to his domain and plug-and-play SoundCloud widgets. This solution provided us with an easy, low cost way to collaborate and create. Craig is a great client to work with, and he is continuously very happy with the results of his site. Check it out here!